Would you like to get involved in making a difference in your community. 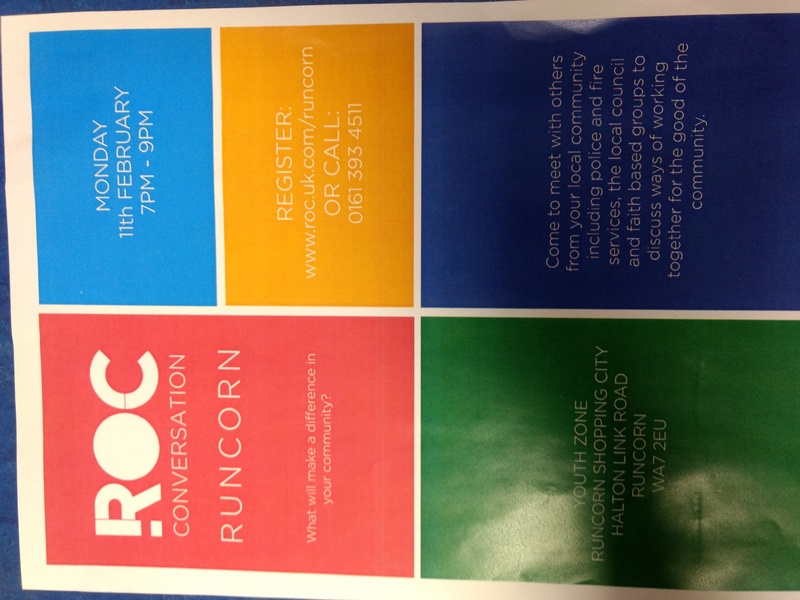 If so, you can register to attend the ROC even this evening at Runcorn shopping city 7pm-9pm. It would be great to see you there! !